Missy Williams, the co-founder of Seed Effect, is my guest for Episode #3. Several years ago, Missy and her husband began praying the Lord would somehow use them for His purposes. Those prayers led them to war-torn South Sudan—a nation with no formal banking system and very little infrastructure—to build a microfinance organization that would open doors to share the Gospel. As a result, Missy and Seed Effect have spent the last seven years following God’s lead, building transformative relationships, and empowering the people of South Sudan to provide for their families. IF YOU’VE EVER WONDERED WHAT GOD COULD DO WITH YOUR OBEDIENCE, THIS IS THE EPISODE FOR YOU. 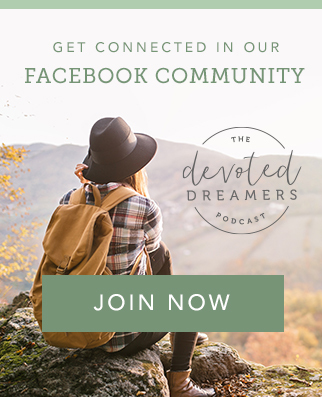 In our conversation, Missy shares what it was like to listen to and follow God’s prompting even when many “experts” were saying their dream would be difficult, if not impossible, to achieve. She tells us how one simple request for a sewing machine became the basis for their belief that any dream, no matter how small, is worth investing in. 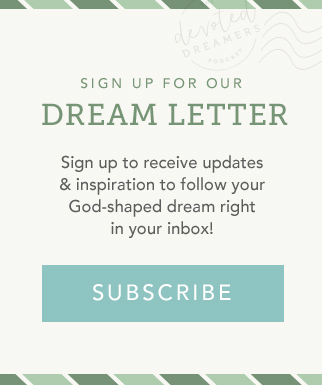 Having walked the difficult road of following God even when everything around her felt out of control, Missy's story encourages us that we should be more afraid of saying ‘No’ to God’s call on our life than we should to saying ‘Yes.’ In this episode, Missy also offers her 4 Tips for Executing on a Dream—especially the God-shaped ones. You can subscribe to Momentum or leave a review on iTunes or Stitcher Radio.